A group of unknown gunmen stormed a Mexican elementary school’s Christmas pageant and executed a veteran journalist watching his son’s performance. The murder took place at the Aguirre Cinta elementary school in the southern city of Acayucan, Veracruz, Revista Proceso reported. Longtime journalist Gumaro Perez Aguilando had gone to the school to see his son’s Christmas pageant when a team of gunmen walked up to him and opened fire in front of other parents and students. Perez Aguilando covered the crime beat at various local news outlets and was a key editor of La Voz Del Sur. He was physically assaulted in 2012 for gathering information at a courthouse, Proceso reported. Aguilando’s murder is the to 83rd strike the Mexican press, where more than 12 have been murdered in 2017 alone. The International Press Institute has labeled Mexico as the most dangerous place for journalists worldwide edging out Iraq and Syria. As Breitbart Texas has reported, the murder of journalists in Mexico carries no real consequences. While human rights activists and journalists have previously called out the Mexican government for its inaction in addressing crimes against reporters and for the lacking security conditions, the usual promises made by the Mexican federal government appear to not have been kept. 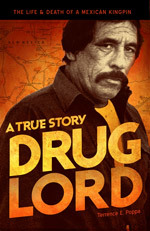 In many cases, violent drug cartels, or at times, corrupt public officials are the suspects behind most of the attacks.